Since 2000, Martin has led the Ecology Center, a community-based organization incorporated on Earth Day in 1970. Under Martin's leadership, the Ecology Center is leveraging local direct community service programs to have state and national impact. Martin has spearheaded innovative efforts such as creating a farmers’ market industry group, pioneering electronic food stamp access and incentives at farmers’ markets, and passing the nation’s first Soda Tax. By linking local grassroots grit with highly competent program implementation, and increasingly effective policy advocacy, Martin has led the Ecology Center to become a high impact engine for change. Martin's previous experience includes working as the Sustainable Agriculture Program Director for Food First, The Institute for Food and Development Policy where he helped build the international organic farming movement throughout the US, Caribbean, Latin America, and Southeast Asia. 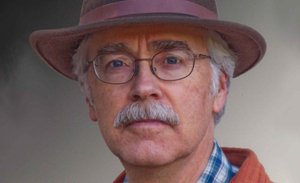 Martin also edited Sustainable Agriculture and Resistance: Transforming Food Production in Cuba, a compilation of Cuban authors on organic farming, and co-founded Californians for Pesticide Reform (CPR) to reduce the worst pesticides in California through public education and regulatory reform. Martin served as the National Director of Training for ALTERTEC Guatemala where he helped develop a Guatemalan non-profit from a small organization into a leading Central American force promoting farmer-led sustainable agriculture. Martin led Freirian-based curricula development, trained trainers, and organized Meso-American Campesino Congresses on Organic Farming, Permaculture, and Alternative Technologies. Additionally, Martin facilitated the development of a national Guatemalan organic certification program, MayaCert. 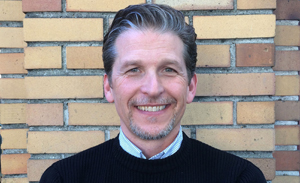 Martin has served on the Community Food and Justice Coalition Advisory Committee, The Grassroots Recycling Network Board and the Alameda County Source Reduction and Recycling Board (StopWaste). 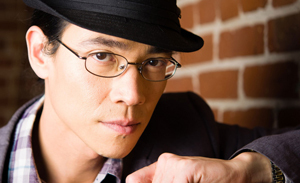 Martin earned a Master of Arts in Latin American Studies and Environmental Policy from UC Berkeley, and a B.A. in Evolution, Ecology, and Behavior from UC San Diego. Staff since 2008, Debbie has developed the organization’s infrastructure allowing the Ecology Center to grow and thrive. She contributes to strategic planning for the organization and oversees finance, HR, and operations. 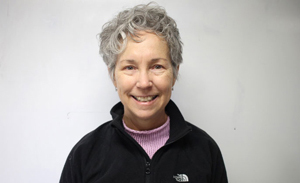 Debbie is responsible for safety and risk management, contract negotiation, and ensures legal compliance for Ecology Center activities at two facilities and several off-site locations. Previously, Debbie worked in management positions at government agencies including the Oakland Police Department, the Department of Homeland Security – FEMA, and the Denton Fire Department. Debbie earned a Master of Public Administration and B.A. degrees in International Studies and English from the University of North Texas. Additionally, Debbie holds Professional in Human Resources Certification (PHR), and Certificates in Alternative Dispute Resolution and Mediation. 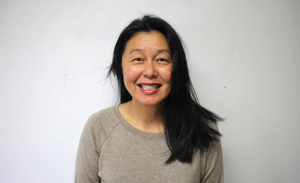 She is a member of the Society for Human Resource Management, the Northern California Human Resources Management Association, and the American Society for Public Administration. Jackie joined the Ecology Center in 2003 as a Financial Assistant and has steadily assumed increased responsibilities each year. Jackie manages payroll and benefits, and provides HR support to the Deputy Director and the Recycling Director, and all program staff. Previously, she worked in retail sales and management in settings ranging from small boutique shops to large department stores. Additionally, she is a very involved “scout mom” and school volunteer. Jackie attended City College of San Francisco. Staff since 2015, Greg manages all aspects of the Ecology Center’s accounting and finance processes. Greg holds a Bachelor of Science degree in Accounting and Finance from Chico State University. He brings several years of experience gained working as a staff accountant with a national smoothie and shake business. Greg appreciates working with a team that is committed to sustaining the natural environment. In his free time he enjoys getting outside into nature, whether it’s backpacking, snowboarding, mountain biking, climbing, fishing, or gardening. Carle leads the Ecology Center’s Farmers’ Market and Farm Fresh Choice produce stand operations, statewide Farmers’ Market Access and Equity programming, and food related education, policy, and coalition building efforts. For five years, Carle managed the Market Match program, California’s healthy food incentive program, which matches customers’ federal nutrition assistance benefits, like CalFresh and WIC, at hundreds of farmers’ markets across the state. 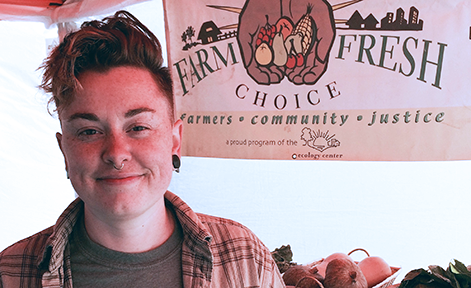 Previously, Carle spent five years with the Pacific Coast Farmers’ Market Association (PCFMA) as a Regional Manager—overseeing sixteen Certified Farmers’ Markets in Alameda and San Joaquin counties. She also serves on the Board of Directors for the California Small Farm Conference. Carle earned a B.F.A. in Art and a B.A. in Women’s and Gender Studies from the University of Oregon. She received a Permaculture Design Certificate, and attended two five-month leadership development trainings, the Ecology of Leadership, through the Regenerative Design Institute. In her spare time, she enjoys spending time with her bees. Felipe joined the Ecology Center in 2017 to lead the Farmer's Market Program. Felipe is passionate about issues of inequality and access to resources in historically disadvantaged communities in the US and abroad. As such, he has worked toward social justice within the arenas of youth development and community empowerment. Felipe co-founded Colombia Conexion, a collective working to increase visibility and resources for the enactment of the Colombian peace process to ensure its sustainability. In his spare time Felipe loves to travel, snowboard, and play soccer. He graduated with a B.A. in Political Science from UC Berkeley. Nina joined the Ecology Center in 2017. She is excited to bring together her passions for healthy foods, sustainable agriculture, education, and community outreach in her role as Market Manager. Nina attended culinary school and has worked in professional kitchens as a chef for over a decade. She also has experience teaching outdoor education, including homesteading and wilderness survival skills, to youth. Growing up a free range kid behind the redwood curtain, Nina now passes that same love for mother nature and getting dirty on to her daughter. Paul has been a leader in the natural foods movement for the past thirty years. Paul has served on the Farmers’ Market Community Advisory Committee for the past twenty years and has contributed significantly to the development of the vibrant local food movement in the Bay Area. 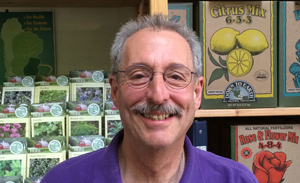 Paul brings extensive experience to the Ecology Center from his positions as a pioneering Organic Produce Wholesaler and as a Distribution Manager for Westbrae Natural Foods and Whole Earth Access where he oversaw operations and more than fifty staff. You can find Paul at the Ecology Center booth at the Farmers’ Markets where he has managed day-to-day operations since 2012. Staff since 2017, MC has extensive experience in community work and agriculture. Originally from Chicago, MC has run a community garden and food pantry, managed an urban farm, and operated farmers’ markets in food scarce neighborhoods. They have also “WWOOFED” throughout the nation and have a deep love for the outdoors. Outside of the Ecology Center, MC has a passion for making music. They have a leadership certificate from People’s Action, a national organizing and action institute, and a certificate in Permaculture design. MC holds a B.A. in Sociology from the University of Illinois at Chicago. 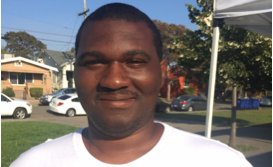 A Berkeley local and graduate of Berkeley High School, Dante started with the Ecology Center’s Farm Fresh Choice program in 2011. 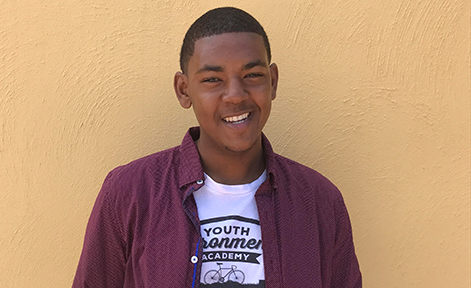 As a teen, Dante helped to shape the Youth Environmental Academy, and has since contributed to the Ecology Center by working in a range of capacities. Dante has led efforts to revamp social media presence for the organization, introduced Market Match to Farm Fresh Choice, and created a written document of the history of Farm Fresh Choice. Additionally, Dante has been involved in the Rooted in Community National Youth Conference, convening with other food justice related individuals and groups. Dante’s accomplishments include being the 2015 recipient of the 50 Fund Rookie Playmaker grant, for his work in Farm Fresh Choice, and spearheading the Yes on Measure D campaign as a precinct captain, leading outreach with youth in District 2. Dante is grateful and proud to be in a role where he can continue to give back to his community. Leah comes to us from Fresh Approach/ Pacific Coast Farmers’ Market Association where she worked as a Program Manager. 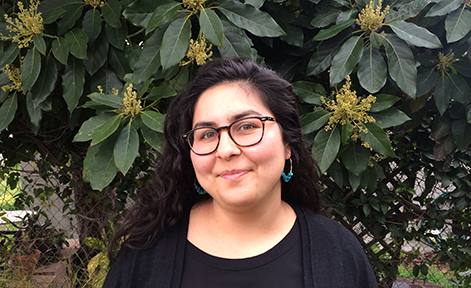 Leah has several years of experience developing strategies and conducting outreach to promote Market Match and CalFresh use at farmers’ markets. 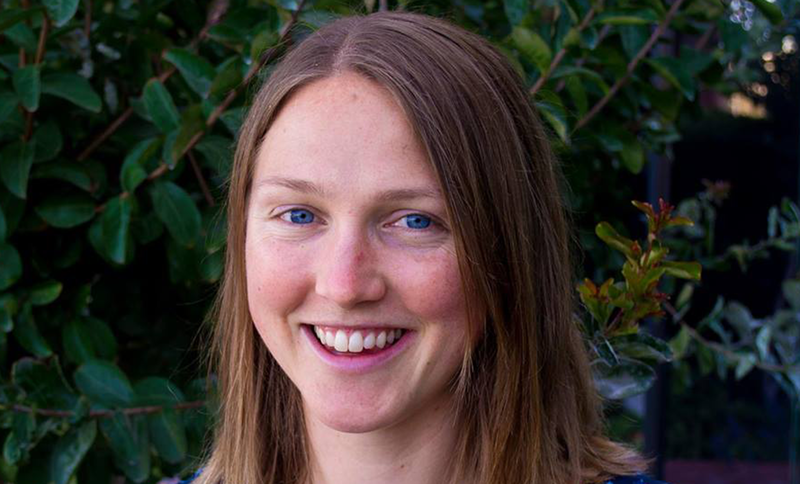 Leah’s experience also includes leading interactive science and ecology lessons in the outdoors, and teaching English in Chile. Leah holds a Bachelor of Arts in Environmental Studies and Anthropology from Bowdoin College in Maine, and she is fluent in Spanish. 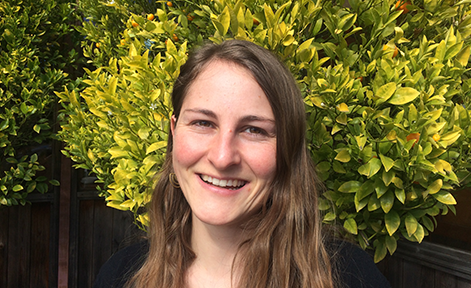 Catie Cain is excited to join the Ecology Center as Farmers’ Market Access and Equity Program Coordinator. She is a member of Colombia Conexión, a collective of Colombians based in the Bay Area highlighting the peace process in solidarity with human rights defenders. 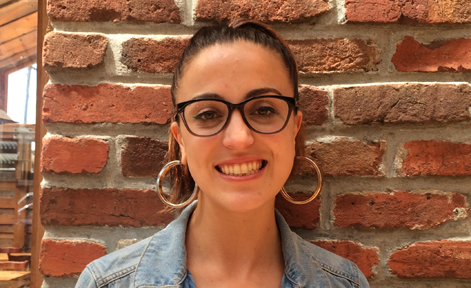 She loves connecting with people across the food system, speaking Spanish, Mandarin, and Portuguese. She holds a B.A in Comparative Politics from Smith College where she established 5 College Scopes, a space for people of color interested in environmental justice. She seeks to create more collective ownership across the food system locally and internationally. Now, she is coordinating the Ecology Center's Farmers' Market EBT and Market Match programs. Lisa joined the Ecology Center in 2017. She is a Southern California native with an extensive background in food service, grocery, and farmers' markets. Her love for the environment and sustainable agriculture stems from visiting her grandparents' farm in Germany as a child, where she helped harvest vegetables and feed animals. She furthered her passion for local food by attending San Francisco State University where she majored in Family and Consumer Sciences, with an emphasis in Nutrition. While at SFSU, she helped start a community garden, launch the Sustainability Coalition, and lead the Real Food Challenge campaign. In her free time you may find her drawing, painting, cooking, gardening or arranging flowers. Jacqui joined the Ecology Center in 2018 to support the Farmers’ Market EBT and Market Match programs. 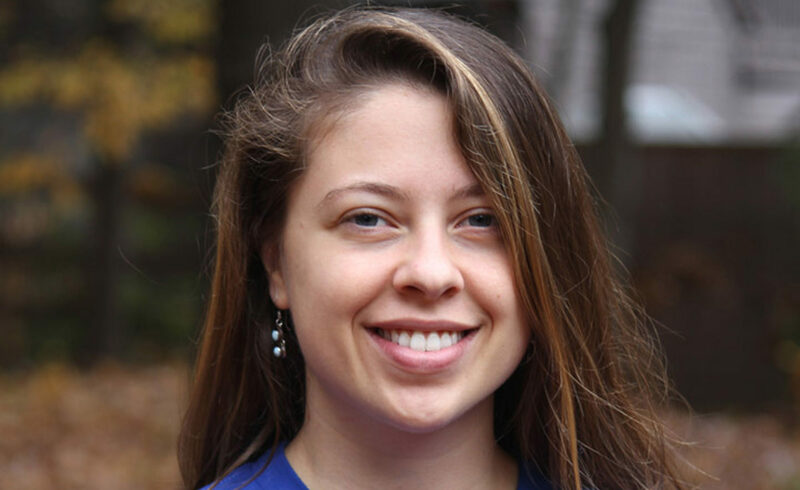 She hails from Vermont, where she served as an AmeriCorps Member, providing nutrition, cooking, gardening, and physical activity programming for teens. Jacqui worked as a Public Health Nutritionist at the Vermont Department of Health, educating clients in the WIC program about healthy eating and childhood development. She received a B.S. in Nutrition and Food Science from the University of Vermont, which sparked her passion to work towards a more just and equitable food system. In her spare time, she enjoys watercolor painting, hiking in the woods, baking pies, and practicing acroyoga. Amelia joined the Ecology Center in 2018. She coordinates the California Alliance of Farmers’ Markets - promoting relationships among farmers’ markets and advocating to ensure a robust economy for markets across the state. When she’s not at the Ecology Center, Amelia’s a regular volunteer at the San Francisco Ferry Plaza Farmers’ Market where she teaches elementary school kids about local and seasonal produce. Prior to the Ecology Center, Amelia spent five years at the Union of Concerned Scientists where she campaigned for federal food & farm policies that support a healthy, sustainable, and fair food system - including the FMPP and FINI programs. While at UCS, Amelia convened the Good Food for All collaborative, a coalition of diverse organizations working to advance racial equity through federal policy. 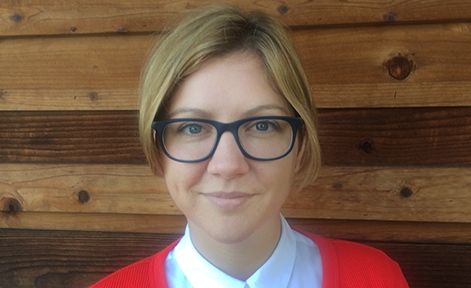 Originally from the UK, Amelia holds an MA in Global Social Policy and a BA in Social Policy & Sociology from The University of Sheffield, England. 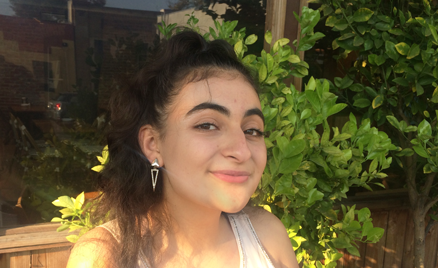 Staff since 2016, Giuliana leads the Youth Environmental Academy (YEA) and youth engagement efforts for the Ecology Center. She brings several years of experience working with teens and young adults through her previous roles in creative youth development programs at Destiny Arts in Oakland and Loco Bloco in San Francisco, where she served as director of programs. She holds a B.A. in Sociology and Education from UC Berkeley, and is a certified instructor of the Roots of Success Environmental Literacy curriculum. Nizam joined the Ecology Center family in February 2017 as a Youth Environmental Academy (YEA) scholar. Through YEA, Nizam has participated in multicultural cooking workshops, conducted door-to-door recycling education outreach, and worked at our bustling Farmers’ Markets. A Berkeley native, Nizam is passionate about building a strong, healthy, and conscious community. He particularly enjoys educating his peers about diet-related health issues and global environmental problems. 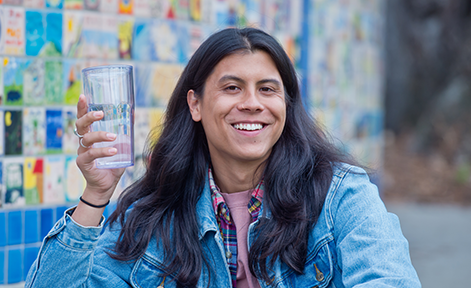 Nizam was featured all around town on buses and billboards as one of the faces of the Let’s Drink Water/Healthy Berkeley campaign. Nizam attends Berkeley High and will graduate in 2018. 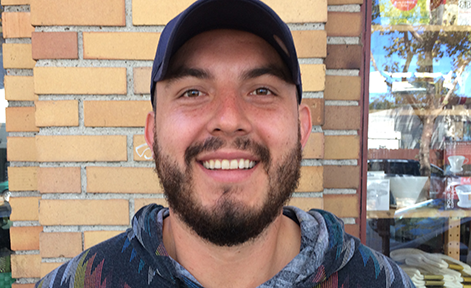 Julian comes to Ecology Center through Berkeley Youth Alternatives and after several years as a Youth Intern, and Youth Program Assistant, is now an on-call Program Associate supporting our Store, Recycling, and Farmers' Market programs. Julian’s hobbies include playing video games, hiking, swimming, biking, psychology, astronomy, cooking, and playing tennis. He is eager to give back to his community, and work with his peers on issues related to food justice. Bouchra is a graduate of our Youth Environmental Academy (YEA). She has led community outreach for Ecology Center’s For Thirst Water First campaign that raises awareness among youth about the benefits of drinking water and the health risks of consuming sugary drinks. Bouchra now works with our social media team, utilizing Instagram to highlight our bustling Farmers’ Markets. Bouchra enjoys experimenting with cooking and is especially grateful for the cooking classes she participated in at YEA. During her free time Bouchra enjoys playing with her 2 ½ year old nephew, having get togethers, and watching movies. 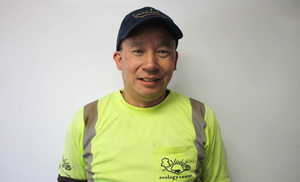 On staff since 2005, Daniel leads the Ecology Center’s Zero Waste and Recycling programs. 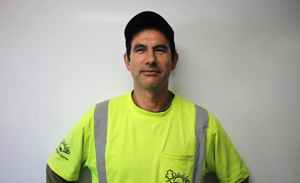 Daniel oversees the Curbside Recycling Program that collects recycling from over 30,000 residences throughout Berkeley each week! 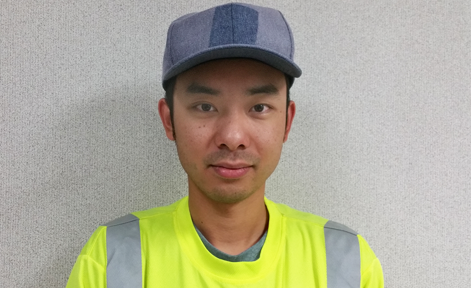 Additionally, Daniel oversees customer service and manages general operations for the recycling program. Daniel works with Education and Engagement program to deliver high quality information to the public, and leads our efforts on Zero Waste legislative advocacy. 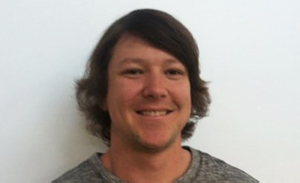 Daniel brings over 15 years of experience in the resource recovery field. Daniel comes to the Ecology Center from Tri-CED, another recycling non-profit, where he worked as a sorter, driver, manager and broker. He is an expert in all aspects of the recycling process, ranging from customer education, waste reduction, collection, recovery, processing, and market development. Daniel also provides tours to engage both youth and the general public interested in learning about the benefits of source reduction and recycling. 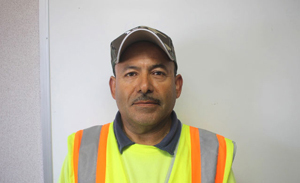 Salvador has more than twenty years of experience working in the resource and recycling field. He came to the Ecology Center in 2005 after working for the Community Conservation Center for 14 years. 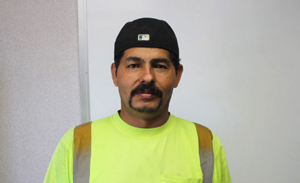 Salvador enjoys going out five days a week to keep the recycling exchange moving and to serve the greater community. Staff since 2007, Hahns came to the Ecology Center after working as a delivery driver for a meat distribution company. Hahns joined the Ecology Center for better pay and hours, but stayed for the camaraderie. Ben joined the Ecology Center in 2001 after working as an airport transportation driver. Ben is committed to serving the residents of Berkeley and is grateful that his job has provided the financial means to send his children to college. Miguel began working for the Ecology Center in 2007. He began his career in recycling after his work within the demolition industry ended due to economic decline. Miguel appreciates the stability that the Ecology Center provides. Since 2007, Encarnacion has been a dedicated member of the recycling team. Five days a week he looks forward to reducing the amount of waste in Berkeley. 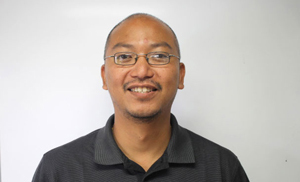 Reyes joined the Ecology Center in 2001 after working for Tomra Pacific. Reyes takes pride in contributing to preservation of the environment by moving Berkeley closer to Zero Waste. 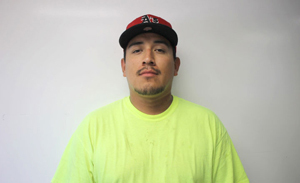 Jose joined the Ecology Center after working for Urban Ore to salvage quality household items from landfill. 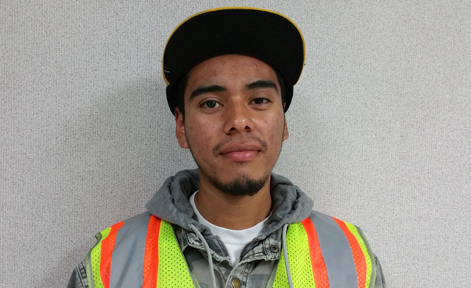 Jose has been helping Berkeley set a recycling standard for the rest of the nation since 2012. Wen joined the Ecology Center in 2016. 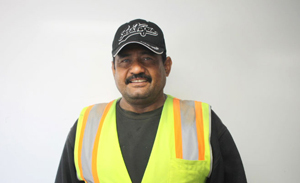 He brings several years of experience operating large trucks from his previous work as a mailman in San Francisco. Before joining the Ecology Center in 2016, Jonathan worked at the Community Conservation Center for nearly three years. 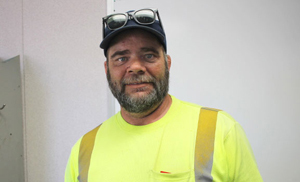 He pursued truck driving school to secure a Class A license so he could transition to driving large trucks. In his spare time, Jonathan enjoys going to lowrider car shows. Staff since 2015, Ignacio supports the Ecology Center’s Recycling Center help desk. Ignacio is passionate about sparking community dialogue and cultural interconnection. He brings several years of experience in education and environmental and personal resiliency within the nonprofit arena. In addition to his work with the Ecology Center, Ignacio works with the East Bay Depot for Creative Reuse in Oakland and serves as a teen playwriting teacher at the Eugene O'Neill Foundation, a resident playwright at PlayGroundSF, and an associate artist at AlterTheater. Minna joined Ecology Center in October. 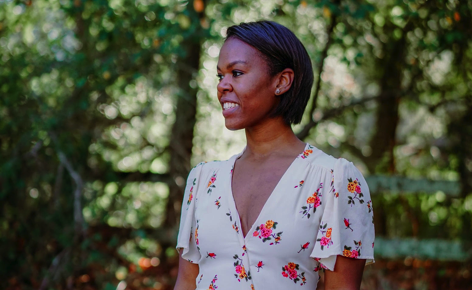 Born and raised in the East Bay, in the shadow of Chevron's Richmond refinery, Minna is passionate about working toward greater health and resiliency, particularly for our most marginalized communities. She comes to us with a background in environmental justice and education. 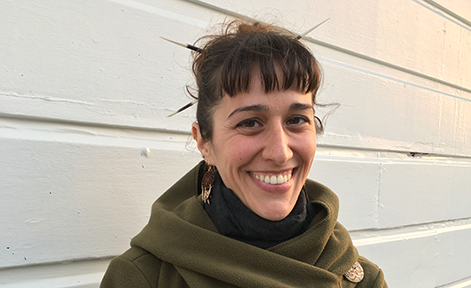 Minna leads much of the Center's climate change work, including facilitating convenings for the Berkeley Climate Action Coalition and other climate related events. She also collaborates with other organizations on local issues like Community Choice Energy and zero waste as part of her role at Ecology Center. Minna is fluent in Farsi, and on her way to fluent in Spanish. Outside of Ecology Center, Minna is a full-spectrum doula, and a student of Brazilian street drumming. She holds a B.A. in Environmental Studies and a B.S. in Economic/Political Geography from UC Berkeley. Sandra joined the Ecology Center in April of 2018, and brings with her an immense passion for the environment, sustainability and conservation. With a strong background in operations and management, she is an ambassador of change, constantly promoting growth and awareness of the dynamic role sustainability plays in our present and our future. 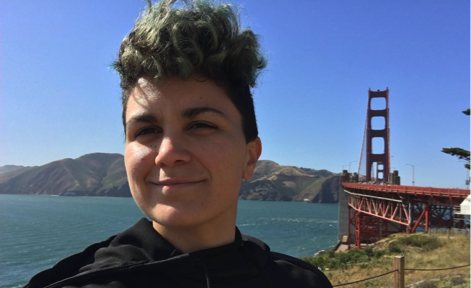 As a Bay Area native, she has seen the community shift around her, and is inspired to continue to be an integral part of work being done locally to cultivate environmental stewardship. Sandra is an active volunteer for multiple organizations on her free time, and enjoys spending weekends at her community garden. Staff since 2018, Niysha brings many years of nonprofit experience to the Ecology Center. Previously, she worked with City Year, Reading Partners, and Playworks to improve academic and health outcomes for youth. She also served in the National Civilian Community Corps where she supported several service projects which included launching community gardens in the midwest and providing disaster-relief for flood victims in Missouri. 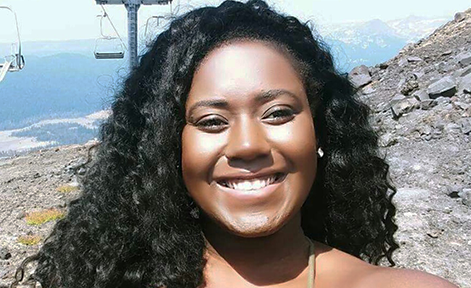 Niysha is passionate about environmental sustainability and plans to pursue a degree in Natural Resource Management. Staff since 2008, Russell helps manage the Ecology Center’s store that specializes in top quality, environmentally-safe products for the home. Russell buys an array of products for the store which include recycled, colored glass products, gardening supplies and books. Russell provides deep and accurate product information to customers and helps them find solutions to their environmental challenges. Russell was raised on a five-acre avocado orchard in Orange County and is a highly skilled gardener. As such, he is regularly called upon to share his knowledge of gardening with customers and community members. 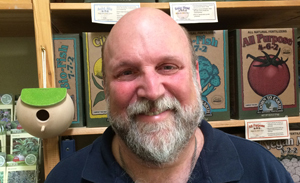 Russell brings seventeen years of experience to the Ecology Center from his position as the lead Technical and Scientific Buyer at the late, great Cody’s Books. He holds a B.A. in Environmental Psychology from UC Berkeley. James joined the Ecology Center in 2002 as a volunteer with the Farm Fresh Choice Program and worked in the Farmers’ Market program for a few years. He currently supports the Education and Engagement team by researching key issues that are of concern among the local community. James regularly gathers information that addresses questions from the public such as, “How will new USDA pesticide spray policies affect my health?” “How long will it take for my new mattress to out-gas?” and “Is it safe to use recycled metal in my garden beds?” James brings several years of experience as a laborer in organic agriculture and as produce manager for the Sacramento Natural Foods Co-op. James has traveled extensively through Central and South America, living for over a year in Bahia, Brazil. 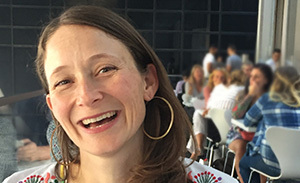 Erika joined the Ecology center in 2018 as the Development Director for the organization spearheading all strategic goals around fundraising including institutional and government funding, corporate partnerships, communications strategy, membership development, board of directors support, and development related events. 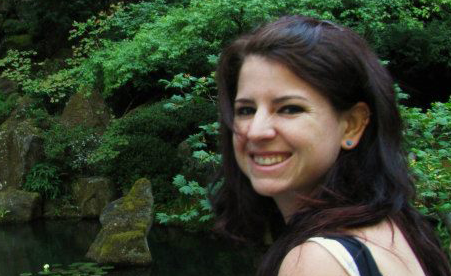 Erika brings a wealth of knowledge in the field having worked with major arts organizations for over 10 years in the realm of Development including AXIS Dance Company, Alonzo King LINES Ballet, and Benicia Ballet Theatre. At these organizations she helped to shape critical fundraising, programming and marketing initiatives that significantly stabilized and strengthened operational capacity. She is a graduate of NYU Steinhardt Master’s of Higher Education and the Professions program, and the University of Michigan’s Sports Management & Communication as well as Dance in Fine Arts programs. In her free time Erika enjoys dancing, taking yoga, and spending time with family.